Mobile optimisation has become a key focus for businesses around the world – and for us here at Soap, too! – for good reason. Mobile advertising is driving approximately 75% of all digital ad spend, representing an astounding 21,775% growth since 2008. Conversion rate optimisation for mobile will help you hit your targets and increase your ROI by targeting the increasing number of users who are on mobile every day. With this worldwide, renewed focus on mobile optimisation, it’s vital to keep up with the latest trends to know what works and what doesn’t in conversion rate optimisation. Using sticky menus for convenience. Taking advantage of micro-moments with exclusive offers. Make every experience a personalised one. Invest in PWA and better loading speeds. A/B testing for mobile landing pages. A personalised website for better UX has been a major focus in 2018 and it will be even more important in 2019 and beyond. Approximately 56% of online buyers say they prefer to purchase on websites with personalised recommendations – which translates an average increase of 20% in sales. It’s not enough to simply provide a good experience on your website; consumers are 65% more likely to convert when businesses know their purchase history and 58% more likely to purchase if they get recommendations based on past purchases or preferences. The process of tracking cookies has also been optimised, which provides the personalised experience that consumers want and expect to see. User experience is the focus point – something that Google firmly believes in when they introduced mobile-first indexing. Machine learning can be a great tool to improve your website’s personalisation. From recommendation engines that add item recommendations to automatically adjusting your prices, automation can help to streamline your processes. There are great tools that allow you to showcase special offers to users who have a record of conversion preference for discounts, all through AI. Conversion rate optimisation is all about improving UX, including the improvement of website loading speeds. Ensuring websites are responsive is partly why we invest in PWA; mobile devices increase reach and engagement, making it vital to have websites that automatically adjust to tablets and mobile phones. And future-proofing your website includes thinking about loading speeds – a factor that continuously affects bounce rates. Mobile data networks tend to be slower than wired connections and this lack of loading speed can deeply influence how consumers think about your business. In addition, you need to provide intuitive mobile experiences, as consumers have a higher susceptibility to friction. Consumers want their products and services, and they want them now. Even a few extra clicks can seem too difficult and end in an increased bounce rate. Google’s Speed Scorecard will help you know if your website is up to your competitors and your audience’s expectation – and if it’s not, our team can help you! Desktop may drive better results, for now, but an improved mobile UX can make a big difference in conversions. Improve your website’s loading speed, and you’ll retain clickthroughs and optimise conversion rates. 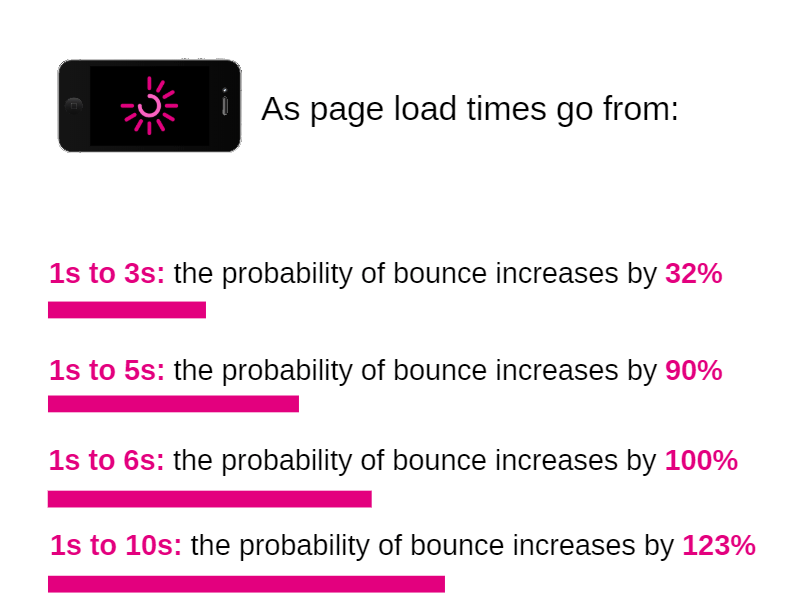 What affects mobile loading speeds? Using what is proven to work is essential for conversion rate optimisation. 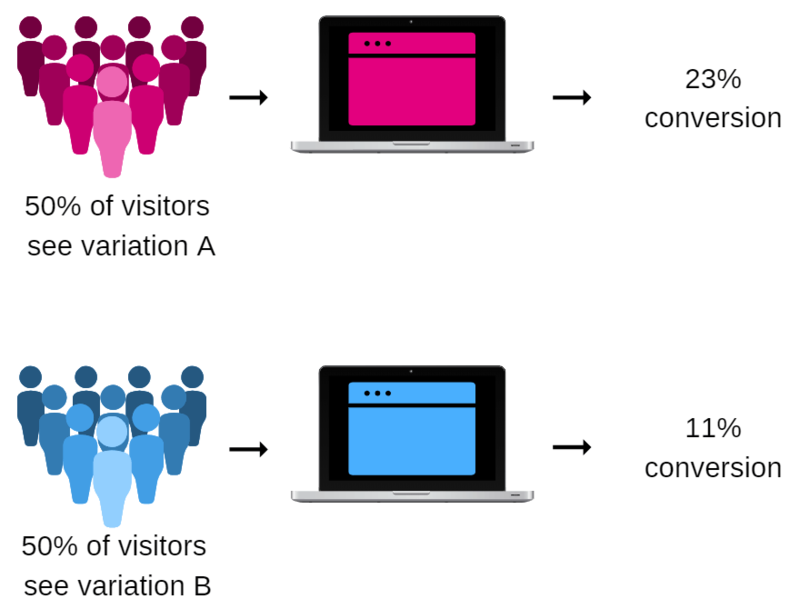 A/B testing is still the most utilised method in order to improve conversions, allowing for your website traffic to be divided in two so that you can test which version performs better, A or B. You know you succeed if you see an increase in signups or product purchases. The right tool needs to be used according to your business needs, however, there are a few practices to follow for conversion rate optimisation. Have in-depth knowledge of your A/B tool. Does it have analytical features, advanced multivariate testing, and conversion rate calculations? Make sure the A/B tool has a WYSIWYG interface. What You See Is What You Get is vital to ensure that you can properly view the end result as you create webpages. Focus on just one element at a time. Focus on an element of your page at a time, but don’t limit testing to a single type. You’ll have better insights into what works by varying layout, buttons, and headlines through running various A/B tests at the same with various pages types. Test, test, test. Have at least 90% of statistical confidence with a test conducted over at least 7 days. A variation with high statistical confidence will keep outperforming other variations. These trends are known to show results, but it’s always advisable that you test against your own strategies to find what works for you. Our team are experts in finding what works for each business for conversion rate optimisation success.